Read "Will Your Next Mistake Be Fatal?" Manager’s who develop leadership skills early in their careers are better able to avoid the common pitfalls that lead to making a mistake that becomes a fatal error for the business. 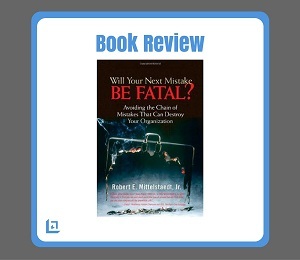 In his book, Will Your Next Mistake Be Fatal?, author Robert E. Mittelstaedt, Jr. provides examples of what business leaders do to prevent making fatal errors in their business. 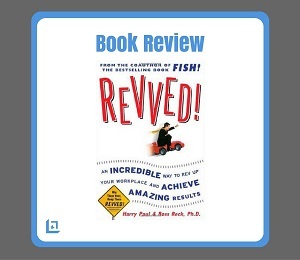 The author reminds leaders to never get too far away from steering the ship. While you can surround yourself with very talented and capable managers, you should never allow yourself to get too far away from the front line. In order for you to properly address future issues you need to maintain a present-day perspective on what it takes for your front line people to be successful. Therefore, you must stay connected with that core group in order to best serve them and your customers. "Only those who are willing to take risks will ever find out how far they can go. Taking only good calculated risk is the trick!" Small business owners in particular can gain tremendous insights from Will Your Next Mistake Be Fatal? : Avoiding the Chain of Mistakes That Can Destroy Your Organization Many of the mistakes made by small business owners are the very same as those made by CEO’s of corporate giants. However, the difference is that the small business owner does not possess the level of resources that a larger organization enjoys. As a result of having a greater amount of financial cushion, a large organization can withstand the blow of a mistake that can otherwise become fatal to the small business owner. Due to the greater level of risk, small business owners must develop leadership skill that is effective. Having strong business planning and leadership knowledge is crucial to every new venture. Mittelstaedt also makes the point that the culture of an organization can be a great asset, or it can be a liability that becomes the fatal mistake if not closely observed and nurtured. For instance, a culture of “win at all costs”, or “victory or bust” may very well be the spur that creates an organization’s initial success – yet over time this very same mantra can become a stake in the heart of an otherwise promising company. A company that is too proud to seek out and identify its areas for improvement will eventually suffer from its shortsightedness. The sad fact is that most business cultures develop over time, by accident. Sometimes this works out well, but too often the culture becomes a fatal mistake that eventually handicaps or takes the company down completely. Organizations like McDonalds and Southwest Airlines are examples where the leaders established a clear vision of what the culture would be. As a result of their well thought out planning, these organizations have prospered due in part to a strong, vibrant and healthy corporate culture of staying laser-beam-focused on the customers they serve. Will Your Next Mistake Be Fatal? : Avoiding the Chain of Mistakes That Can Destroy Your Organization is an energetic book that identifies real issues and provides reasonable solutions for business managers to develop leadership skills to avoid fatal business mistakes. "Life is inherently risky. There is only one big risk you should avoid at all costs, and that is the risk of doing nothing." In the final chapter “Making M3 Part of Your Culture for Success”, Mittelstaedt warns readers to not make the fatal mistake of avoiding making any mistakes at all. While failure must be managed closely, it’s also important for leaders to develop leadership skills and insights to understand that it’s only through making mistakes that most people learn and grow. Therefore, the key is to avoid the major, most costly and dangerous mistakes, while still empowering and even encouraging team members to take educated risks. Workers must understand that risk is the pathway to reward, but we must help people manage risk carefully and thoughtfully in order to minimize risk to the larger organization. A manager looking to develop leadership skill and expertise only need look back to the recent events of Worldcom, Enron, and more recently Bank of America and Washington Mutual to see the potential pitfalls of undisciplined leadership. "You can measure your opportunity with the same yardstick that measures the risk involved. They go together." 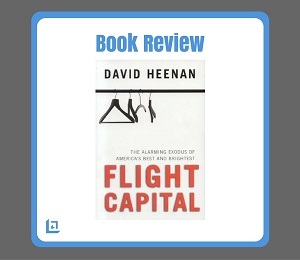 Additional examples of fatal mistakes include the decisions made behind the Watergate scandal, the nuclear accident at Three Mile Island, and most airline crashes. The simple truth is that almost all fatal mistakes can be avoided if the leadership is effective as managing risk. Mittelstaedt, while sharing his insights on how to avoid fatal mistakes, does a nice job of empowering readers with realistic solutions for them to sink their teeth into. 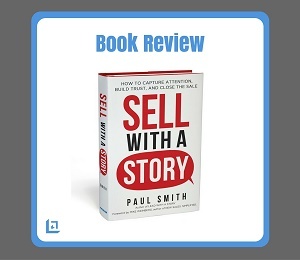 Compelling and motivational, we recommend Will Your Next Mistake Be Fatal? as it is a terrific reminder for all leaders to take the time to develop leadership skills and expertise in the area of risk management. As once stated by H. Jackson Browne, "Don’t be afraid to go out on a limb. That’s where the fruit is." Robert E. Mittelstaedt, Jr. is the Dean of the Business School at Arizona State University. Leadership Tools Home › Leadership Books › Will Your Next Mistake Be Fatal?